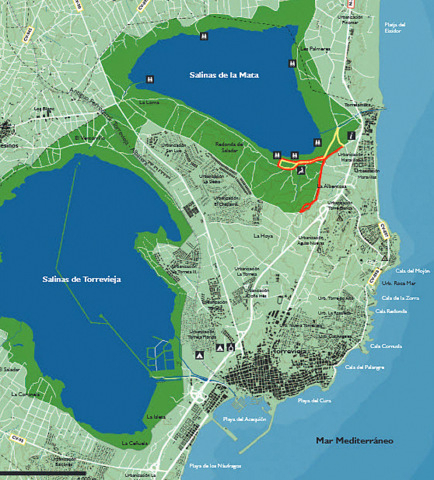 Las lagunas (lakes) de la Mata-Torrevieja are located within the Comarca of la Vega Baja and occupy part of each of the municipalities of Guardamar del Segura, Torrevieja, Los Montesinos and Rojales. These important “humedales” or wetland systems, form part of a major triangle of such areas in the south of the Alicante province, along with El Fondo and the Salinas de Santa Pola. 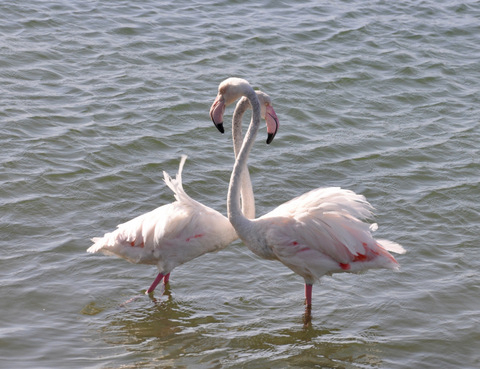 In 1989 their importance was acknowledged when they became part of the Ramsar sites network, an international organisation which aims to protect wetlands world-wide, and they also have ZEPA status (zonas de especial protección para las aves ) which is a special bird protection zone, designed to protect them from building or development. El Parque Natural de las Lagunas de La Mata y Torrevieja covers a total area of 3,700 hectares. The two lagunas are separated from each other by an anticline, which to put it in its simplest terms, is a natural rock formation created when rock layers are compressed and the rock literally folds. Anticlines are folded with the oldest rock at the centre of the formation. This particular anticline is known as “El Chaparral” and rises up between the two depressions which form the lagunas. 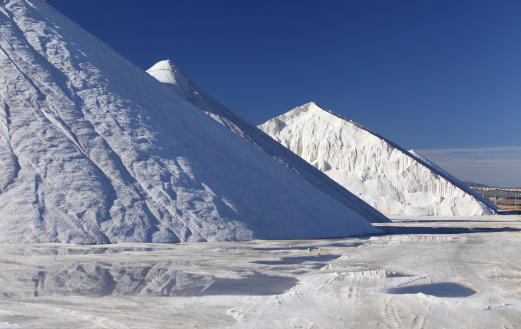 The two are linked via a canal and are also artificially linked to the sea by another canal known as “El Acequión” so that they can be used for salt production. The Laguna of La Mata acts as a “heating pool” while the actual salt harvesting is undertaken in the Torrevieja laguna. For this reason, much of the area designated as parkland is not accessible for the general public, although there are two walking routes and one cycling route laid out for the enjoyment of residents and visitors. Other visitors include Audouin’s Gulls( Larus Audouinii), Slender billed gulls ( Larus genei) Black winged stilts(Himantopus himantopus) the Common Shelduck ( Tadorna tadorna) and Pied Avocets (Recurvirostra avosetta) as well as many other species. The Iberians are known to have occupied this area prior to the Roman invasion and undertook trade interchanges with the Phoenicians and Greeks who traded all along the Mediterranean coastline in the thousand year period preceding the birth of Christ, and left substantial remains of their presence in the Cabezo Lucero between Guardamar and Rojales, occupied between 580-450 BC. The Carthaginians arrived in 237BC, losing their territories to the Romans who dominated until the 4th century AD when the mighty Roman Empire finally started to disintegrate. Torrevieja was one of many Roman settlements or points of infrastructure and remains of the Roman port can still be seen in the waters off the beach of La Mata today, with neighbouring settlements at Guardamar, San Miguel de Salinas and Orihuela, linking to the more substantial settlements of Cartagena and Alicante. The Romans produced salt in flat Salinas exploitations and salt fish sauce ( garum) all along the Mediterranean coastline, exporting it throughout the Roman Empire. It’s known for certain that the Lagunas de la Mata y Torrevieja were documented in 1321, as there is written evidence of them being ceded to the city of Orihuela by the crown, and in 1389 a licence was granted to make the Laguna de Torrevieja into a fish farming lake. However, the plans failed to come to fruition when it took nearly a century to cut the Acequión channel to link the laguna to the sea, and then the fish failed to arrive as predicted due to the high level of salinity in the waters, the shallow laguna heating up rapidly and becoming extremely salty. 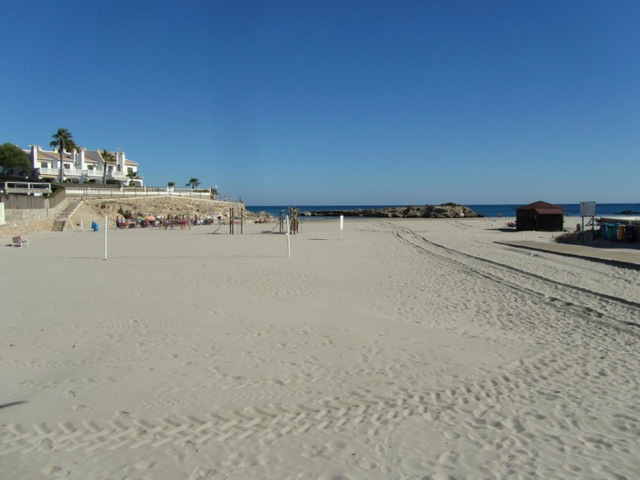 Orihuela renounced its interest in the waters following this discovery. In 1759 a Royal Decree returned ownership of the lagunas to the state, and within a few years trials were underway to undertake salt extraction using the 2 lakes working together as a salt production system. 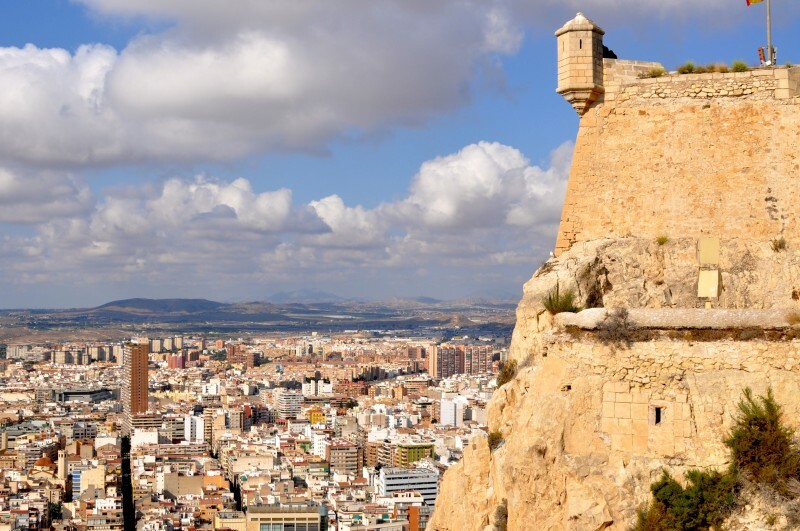 Initially the salt production was undertaken in la Mata, but once it was discovered that conditions were better in Torrevieja, then the extraction process was transferred to the Torrevieja lake, although La Mata is part of the process, “heating” up the water first. In 1950 the process of salt extraction was taken over by La Nueva Compañía Arrendataria de las Salinas de Torrevieja y la Mata S.A, who continue to operate the exploitation today. 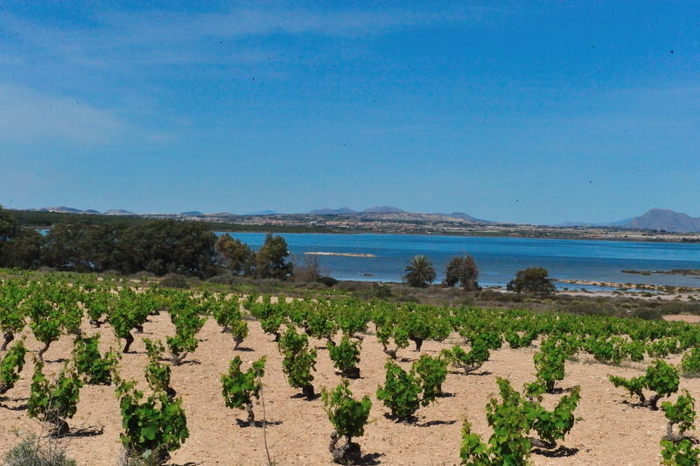 Other activities around the lakes include the cultivation of vines: two varieties of Moscatel grapes are grown as table eating grapes and another strain called la Merseguera is grown on lower, flatter bush vines for wine production. 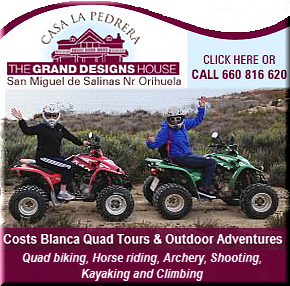 There are three separate itineraries offered around the Laguna de la Mata, one on bicycle and the other two on foot. The yellow walking route offers the opportunity to observe most of the ecosystems present within the park environment, with viewing points to watch the wildlife and birds, see the typical plants which grow in the area and also see the infrastructure which dictates the conditions present in the park. 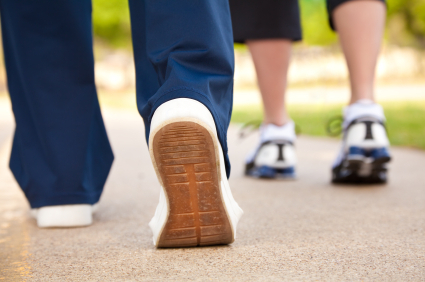 The route has been conditioned to offer optimum walking conditions and in areas where raised walkways have been installed these are wide enough to accommodate wheelchairs. En-route, participants can view the Acequión, an open channel cut into the landcape linking the laguna to the sea, in which a wide range of typical sea-dwellers live, creating a genuine marine environment. Water is gravity fed into la Mata as the laguna is below sea level. 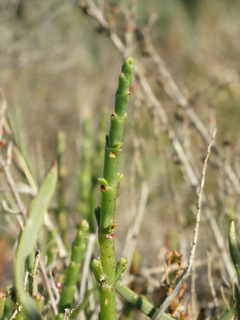 Around the edges of the laguna plants which have adapted to cope with the high salt levels can be found. 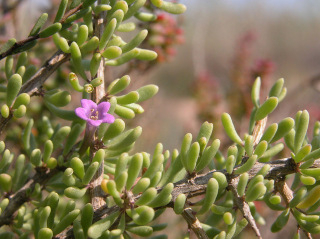 These plants contain high internal concentrations of salt which enables them to tolerate high salinity and high temperatures, without dehydrating. Some of them eliminate excess salt via their leaves, giving them a whitened appearance. 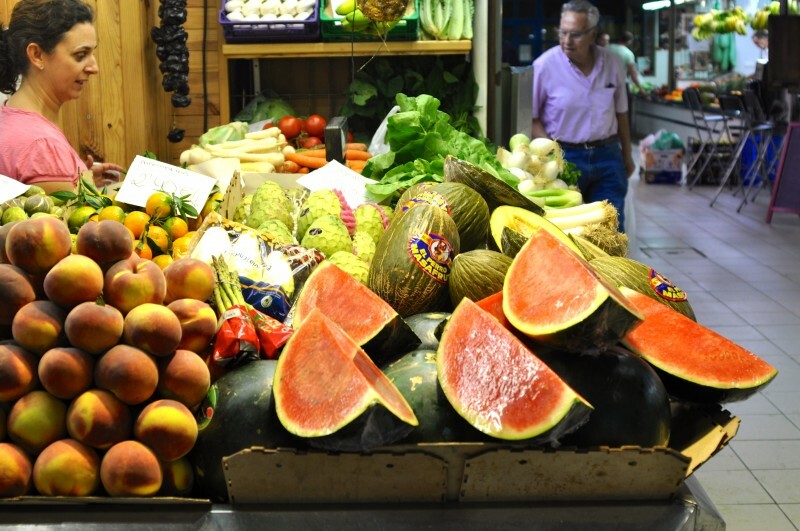 Amongst these are also plants from the “sosa” family, plants which were used historically for the production of caustic soda and soap. 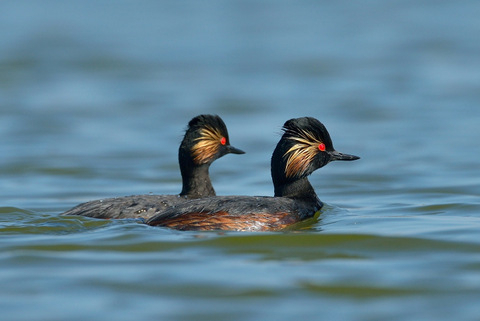 There are also a vast range of birds which can be enjoyed from the observatory, some of which are present throughout the year and others which stay for a short period as part of a migratory flight or for reproduction. The route also passes through shady pine forests, which offer yet another environment and alongside the areas of cultivation which currently support grape vines, although cereal crops were formerly grown in these same fields when smallholdings cultivated crops partly to pay their taxes and partly to feed their livestock throughout the hot months. The route departs from the information centre and is clearly signposted. This is a very pleasant walk for those who appreciate varying views and would like to enjoy a sedate pace over well groomed terrain. 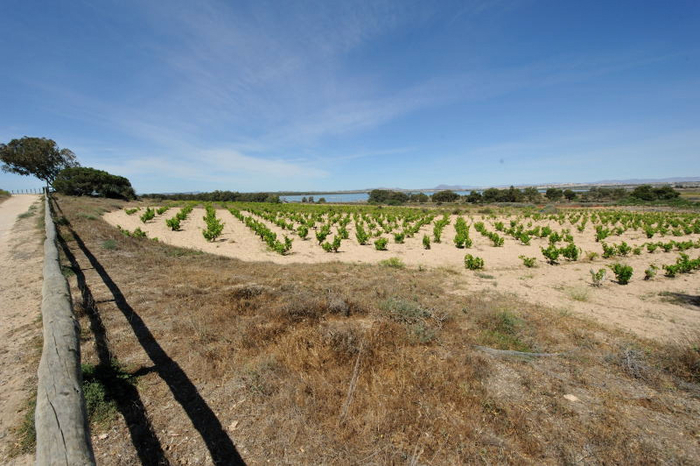 The route follows a pathway close to the shores of the La Mata Laguna, through the La Mata vineyards, la Merseguera grapes producing the distinctive La Mata wine. These vineyards were planted in the 1950’s and 60’s to replace the cereal crops formerly grown by the tenant farmers, the arrival of irrigation in the 1970’s finally changing the landscape completely as low value dry farming crops such as almonds and cereal crops were replaced with irrigated citrus trees and vegetable crops including artichokes and small tenant farmers sold out to larger agricultural concerns. There is a spacious car park next to the visitor centre and the route is signposted in English as well as Spanish. 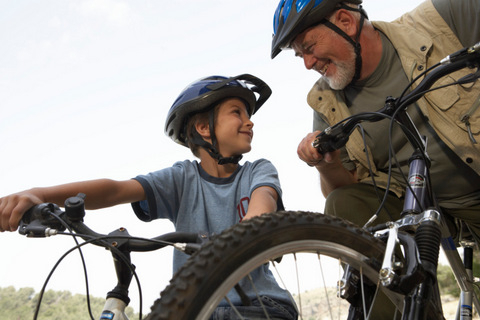 This is a non- technical family cycling route and has been designed to offer good panoramic views across the laguna, providing the perfect excuse to come along and enjoy a trip out in the open air. There is one point where there is a fairly difficult climb, but the remainder of the route is of low level difficulty. The route heads inland away from the laguna in order to respect the status of the park as a zone of special interest for nesting birdlife, and aims to ensure that riders enjoy the route, while respecting the birdlife at the same time. The route departs from the visitor centre by an earth track, heading towards the municipal camping site and cemetery, before continuing on an asphalt surface. It then rejoins an earth track, passing through pine forests and vineyards before returning to the initiation point and car park. 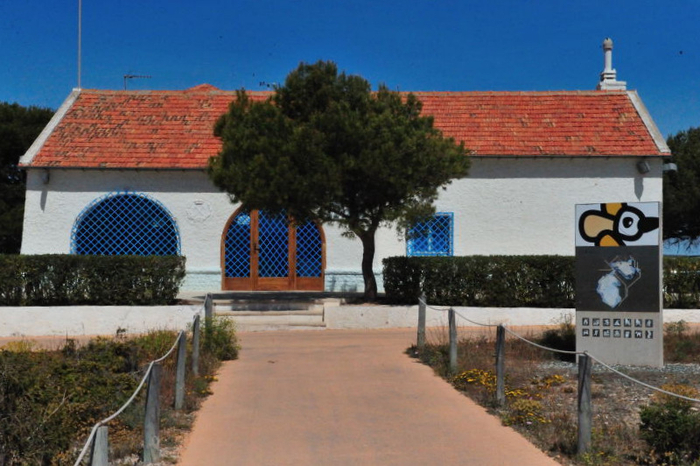 The Centro de Información del Parque Natural is located close to the Laguna of La Mata and has ample car parking. If offers a good selection of basic information about the flora and fauna of the area, as well as information about the ecosystems within the natural park. Opening Hours: The centre is open throughout the year between Monday and Saturday, and closed on Sundays. 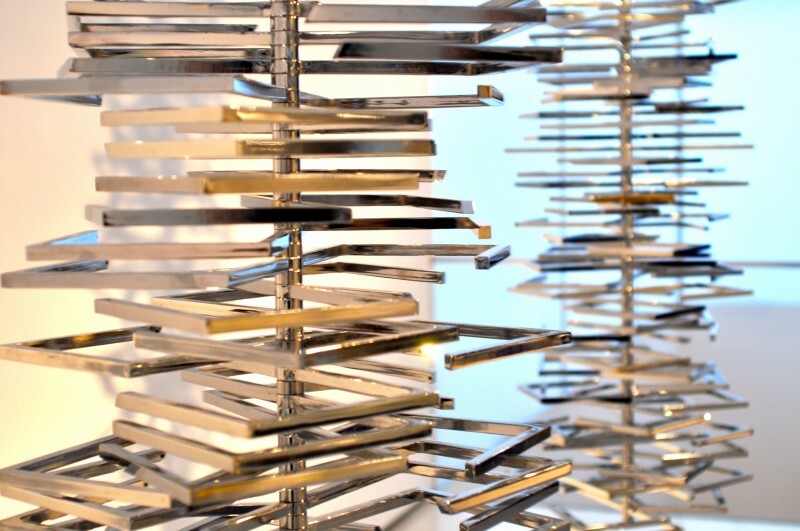 Between September and May, opening hours are 9.30am to 2pm Monday to Friday and 9am to 1pm on Saturdays. During June , July and August opening times are 9.30am to 2.30pm Monday to Friday and 9am to 1pm on Saturday. The visitor centre is 200 metres from the N-332 Carretera, close to the town of Torrelamata and can also be accessed from the A-7. 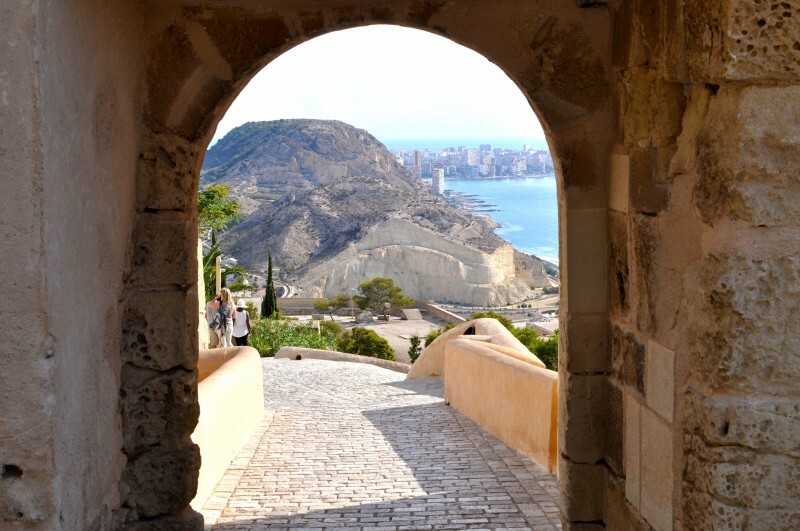 The Costa Azul bus service which connects Alicante with Cartagena stops 200 metres from the visitor centre. 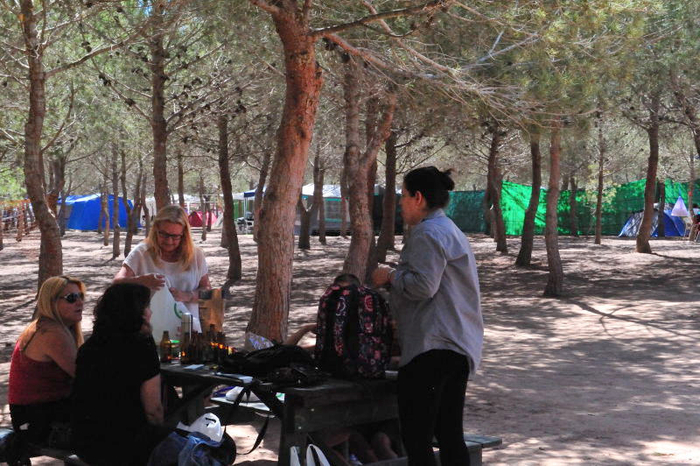 Near to the Laguna de La Mata and visitor centre is the municipal camping and recreation area, La Albentosa. This is a shaded woodland area which is opened for holiday periods and festival days. There is no charge to pitch a tent and water and toilets are also provided. Prior to arrival it is important to confirm your intention to camp and obtain a permit from the town hall. 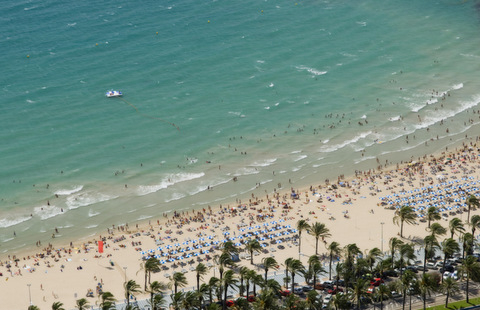 There is no charge for this service and the area is well used by local Spanish families who take advantage of the facilities to enjoy periods such as Semana Santa so that the festivities can be enjoyed at little cost.